The leading law firm of Alonso Krangle LLP is currently investigating potential Da Vinci Surgical Robot lawsuits on behalf of victims of the Da Vinci Surgical Robot. 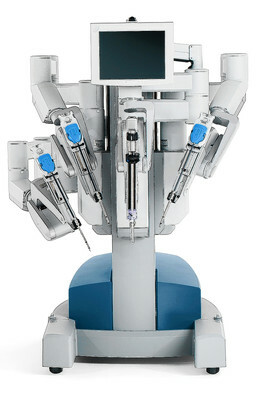 The Da Vinci Surgical Robot, manufactured and marketed by Intuitive Surgical, Inc. of Sunnyvale, California, has been used in thousands of hysterectomies and prostate removal surgeries around the country, and is increasingly being used to perform other procedures, including gastric bypasses, gall bladder removals and thyroid cancer surgeries. However, several Da Vinci Surgical Robot lawsuits involving Da Vinci Surgical Robot procedures allege that patients have suffered serious, and even deadly, injuries including. At least one plaintiff in a Da Vinci Surgical Robot lawsuit alleges that the device is defectively designed. Other lawsuits have alleged that doctors lack the training needed to properly use the robot. Critics of the Da Vinci Surgical Robot have also questioned the way it was marketed, charging that Intuitive Surgical touts the robot as a way for hospitals to increase revenues and market share. The defective medical device lawyers at Alonso Krangle LLP rank among the nation’s top personal injury lawyers, and are committed to making sure the victims of alleged Da Vinci Surgical Robot injuries receive the justice they deserve. The firm is currently offering free lawsuit consultations in all 50 states to surgical patients injured by the Da Vinci Surgical Robot, or their families. To learn more about your legal rights, please contact the Da Vinci Surgical Robot injury lawyers at Alonso Krangle LLP today. The Da Vinci Surgical Robot is a massive machine operated by a surgeon from a console with joystick-like controls. It was designed to give surgeons a range of movement greater than the human hand, and allows them to perform abdominal surgeries without cutting open the stomach. During a Da Vinci procedure, robotic arms are placed in the patient to burn away tissue, so a diseased organ can be removed. Ideally, use of the Da Vinci Surgical System in minimally invasive surgery should lead to less blood loss, much smaller scars and a faster recovery for the patient. A single Da Vinci Surgical Robot can cost over a $1 million, but their high cost has not deterred hospitals from investing in this technology. According to a report published by the Chicago Tribune in February 2012, 250,000 hysterectomies and prostate removal surgeries were done with the Da Vinci system in 2011. Surgeons are now expanding use of the machines in other procedures, from gastric bypasses to thyroid cancer surgeries. It was recently approved by U.S. regulators for gall bladder surgery. Unfortunately, few randomized studies have been conducted to demonstrate that patients do best if procedures are performed with the Da Vinci. Regulation of such devices by the U.S. Food & Drug Administration is also light, the report said. According to The Wall Street Journal, Intuitive Surgical has marketed the Da Vinci to hospitals as a way for them to increase their revenues and gain market share. Critics have also expressed concerns about the way surgeons are trained on the Da Vinci. When a hospital purchases a robot, Intuitive Surgical pays for a two-day training course for two surgeons. While some hospitals have established intensive Da Vinci training programs for doctors, others allow doctors to use the machine unsupervised after just a few training cases. Surgeons experienced with the machine told the Journal that proficiency with the technology requires hundreds of cases. At least one Da Vinci lawsuit has alleged that the device suffers from design flaws, including un-insulated surgical arms and use of electrical current which can jump to healthy internal organs and tissue. Various medical groups including the American College of Obstetricians and Gynecologists and the Kaiser Foundation have questioned the usefulness of this expensive robotic surgery when considering the risks that are involved in its use. March 2012: A New York father filed a federal lawsuit in the Southern District of the State of New York alleging complications related to the use of the Da Vinci Surgical Robot caused the death of his 24-year-old daughter. The young woman underwent a hysterectomy in a Bronx hospital in August 2010, and the robot caused burns to an artery and her intestines, which led to her death two weeks later. The lawsuit alleges the woman’s injuries were the result of design flaws, including un-insulated surgical arms and use of electrical current which can jump to healthy internal organs and tissue. The lawsuit is believed to be the first to be filed alleging Da Vinci Surgical Robot design defects. February 2012: The family of a Chicago man who died following a Da Vinci Surgical Robot procedure was awarded $7.5 million in a medical malpractice lawsuit against his doctors. The man had died in 2007, after doctor using the robot to remove his spleen accidently punctured the lower intestine. The injury wasn’t discovered for two weeks, and by then, there was no way to save the man’s life. The mans surgeon testified it was the first time he had used the robot on a living person, according to court documents. May 2010: Sherry Long, a 47-year-old woman, sued New Hampshire’s Wentworth-Douglass Hospital alleging that both of her ureters were severed during a robotic hysterectomy performed on March 2, 2009. The injury resulted from the surgeons lack of training on the Da Vinci, the suit alleged. December 2003: The widow of a Florida teacher filed a lawsuit after a doctor at St. Joseph’s hospital in Tampa accidently cut his aorta and the vena cava while using the Da Vinci Surgical Robot to remove a cancerous kidney. The lawsuit alleged that the hospital allowed doctors inexperienced with the robot to perform the surgery. The claim further charged that the hospital was more interested in using its new device than in ensuring her husband’s safety. If you or a loved one suffered serious complications, including tears and burns to blood vessels, intestines and other internal organs, following a surgical procedure involving a Da Vinci Surgical Robot, you may be eligible to file a personal injury or wrongful death Da Vinci Surgical Robot lawsuit seeking compensation from Intuitive Surgical. To learn more about the legal options available to you, please contact the Da Vinci Surgical Robot lawyers at Alonso Krangle LLP by filling out our online form or calling us.